On rare days, it’s difficult for me to write – the ideas show up in my head faster than I can write them down. However, the inspiration for today’s post showed up in my mailbox; no brainpower required! Sometimes, this job is just too easy. Somehow, I got put on the wrong mailing list. I received some interesting mail this week. I’ll also reveal a goal I’ve never talked about before. Brace yourself. See the top of that list? Fashion. In the summer, I like to wear white t-shirts and shorts to stay cool. In the winter I switch to black shirts and jeans. I also hate hate hate dressing up. Co-worker: You should go on a cruise!! Me: Maybe, but aren’t there dress-up nights where you have to wear a suit to dinner? I hear some people even wear tuxedos. Co-worker: YES! It is so fun! You can rent tuxedos on the ship. It’s really great! Me: That sounds like the opposite of fun. On vacation, I don’t want to dress up. I have to do that here at work. Co-worker: You’re young. When you’re older, you’ll appreciate it. I have no idea why it would be fun to sit around with strangers, eating mediocre food with a tuxedo you just paid to rent on a boat you’re paying to be on – all while you’re on vacation! How did this become someone’s idea of a good time? Sounds downright terrible. My views have not changed. It’s 15 years later and I still don’t appreciate dressing up. In fact, I hate it more now than ever. In my home office where I’m typing this now, my clothing is often unfit for public consumption: ratty t-shirts + sweat pants + fake Crocs (gasp!) It’s comfortable and that’s all I care about. The Junk Mail Gods are trying to change me though. Yes, this mail had to be about cars. 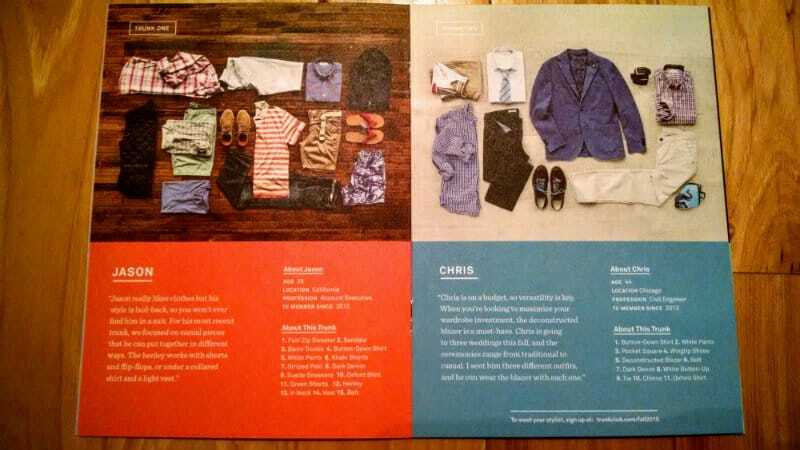 So, this is a service that assigns you a stylist to send you clothes. Apparently some men are incapable of picking out their own. 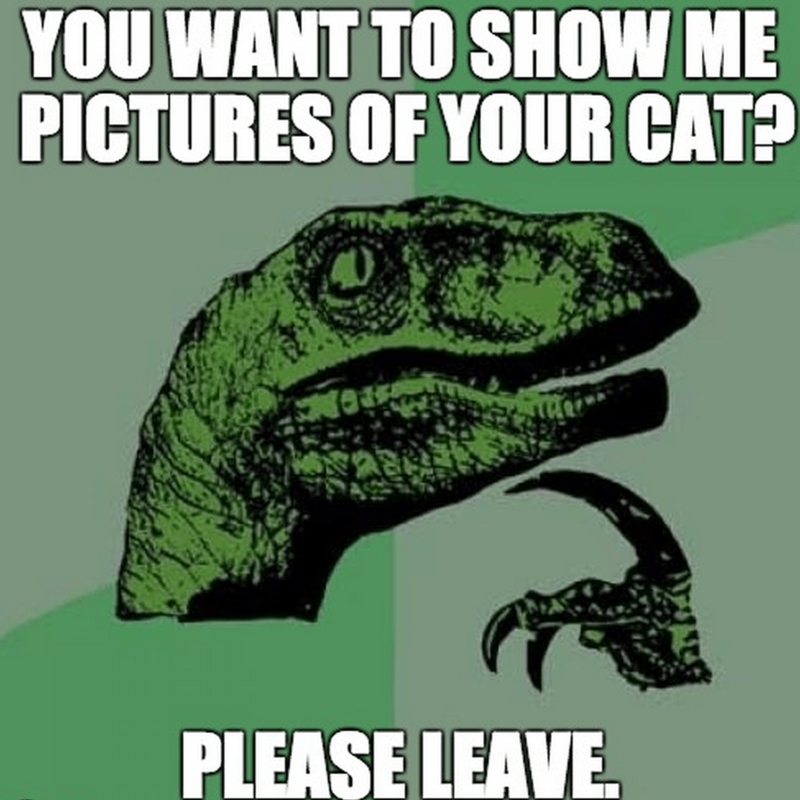 Ahh, the problems we first worlders have to deal with. Jason needs a stylist to help pick out flip-flops. You all know what my big goal is; retire with enough money to last the rest of my life blah, blah, blah. We don’t need to go over that again. To wear the least amount of clothes possible – forever. Simple, right? I’m not into nudist camps or anything like that, but in the summer, wearing just shorts and shoes feels pretty pretty good. Note that I left the shirt out. I’m classy like that. One of the benefits of financial independence is that you can truly be yourself. I feel no need to impress anyone in any way. I don’t need to network with fellow professionals to secure a future job. 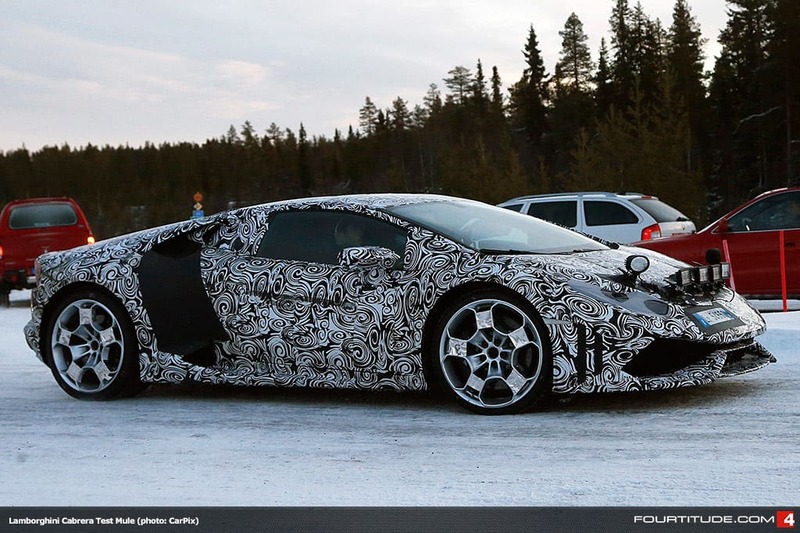 I don’t feel pressure to buy a nice car. Hell, I don’t even have to shave daily. My personality is purer now than it’s ever been. Lately, for the first time in my life, I feel like I can be who I really am. I’m more positive, carefree and confident. I’ve also noticed that I’m not as introverted. Today, I saw a guy on an electric skateboard and struck up a conversation. I would have never done that 3 years ago. When I started writing, the main goal was monetary with some lifestyle tweaks to facilitate saving more and spending less. However, I’ve come to realize that the real goal is something else completely. Deep down, the goal isn’t financial independence, but getting my priorities and life in order. Note that none of those things have anything to do with money. Also, none of them have anything to do with quitting my job in my 40s. It just so happens that good priorities don’t cost money. Financial independence and early retirement are just happy side-benefits of the right lifestyle. I still have work to do. I need to get better in certain areas. I acknowledge that I’ll never be perfect. And that’s how life should be; a journey of growth and learning. However, I’m as happy as I’ve ever been. Even without the Trunk Club in my life. Hmmm, I may go back into work for a business like this. Maybe I’ll call it the Trash Can Club? Are you in? This is great that you know about your personality and that you are able to have a specific wardrobe to match your work at home. I get to wear basically what I want, typically jeans and a polo shirt for work and shorts and a polo or button down during the summer. Although I do have to say there is something really nice, for me at least, about the feel of a good suit. It just makes me feel good about myself. And it isn’t the expense. I spent my weekends in high school and college where we had to dress up in suits for speech and debate. I loved it then and still love it. But I totally get your wanting to be comfortable and wear what you want. And if you don’t like suits or dressing up than no one should say boo otherwise. The trash-tastic look is definitely more my style. Give me a pair of cargo shorts or basketball shorts in the summer and then cargo shorts or jeans in the winter. Plus it saves so much time when you only have like 5 different outfits you can put together instead of thousands. Your Trunk Club picture cracked me up! You know what’s funny? The older I get the less I start to care about clothes, too. I’ve only bought two new items over the past two years — a dress for a funeral and a dress for a job interview. And I reused both at FinCon! I think I’d like to own five decent looking outfits I can just keep wearing over and over again. Fewer decisions, less hassle. Ha, that’s pretty awesome. I don’t know the backstory, but it must be good. I embarrass my wife daily. It goes way beyond my choice of clothes. You are living The Life though, so you have a right to do whatever the hell you want to. Amen to your thoughts here Mr 1500! Totally fun! I love it when a blog post shows up in my mailbox! Haha. Just to confirm I meant I keep signed up to junk mailing lists for the weird pleasure of laughing at them. I keep signed up to 1500 days list for the awesome writing and brilliant content! I forgot to mention that I am totally with you on the clothes goal. I just bought some new trainers/sneakers and that is the first new bit of clothing I’ve bought in around 2 years I think. It’s easy at the moment as I used to have, quite bafflingly, a clothing budget of about £50/month (talk about wasteful spending, I have never been interested in clothing, ever!) before I discovered all of this FI stuff so have got quite a lot of still decent looking clothing to last me a fair few years yet before I start looking like the rag and bone man! After that I’ll have to hit up the charity shops for second hand gear. I reckon I could get by on £50/year on shoes and clothes from here on in! I also hate dressing up. I can see why people like to look smart but most of it is so uncomfortable, surely there is a middle ground there somewhere that doesn’t involved stupid tuxedos, neck throttling ties, and stiff as a board dress shirts!!! Awwww, thanks for the kind compliments. Those never get old! Being a software developer is one of the top 3 smartest things I did. I’m sure you feel the same way. Often, I feel like I’ve found a way to cheat in life. We’re in such demand, that we can get away with a lot of crap. However, I really enjoy the core part of my job (writing software). And I didn’t have to go to school forever like a doctor. How did any of this happen? “Lounge pants!” Only when I feel like dressing up! I am with you on the simple fashion. I am totally a jeans and t-shirt guy. But I will admit that I do clean up very well when I do go the suit route for special occasions. I enjoy dressing up every once in a while. I like when I can sing ZZ Top about myself. But more often than not, I would much rather be in jeans/shorts and a t-shirt. I only own one suit, one I got from goodwill. It is really ratty. I don’t think I’ve ever even worn it actually. But I do plan on buying a suit in the near future. We have another common goal, the less clothes the better. Just Monday, I was telling my wife how great it would be if I could go to work just wearing my boxers. Ahh that would be nice, but alas, I work with chemicals, some of them pretty nasty too so having clothes on is probably in my best interest. Mr PoP has also managed to get himself on some high end clothing mailing lists (Brooks Brothers and some other fancy-pants brands that I can’t remember) and I can’t help but feel a little bad about the waste when I put the catalogs directly in the recycle bin from the mailbox. I do the same to the phone books… such a waste. I’ll make an exception for 24. This is the only one though! And phone books!?! Why are those even still around??? In the summer, you live in a blast furnace, so I don’t blame you! 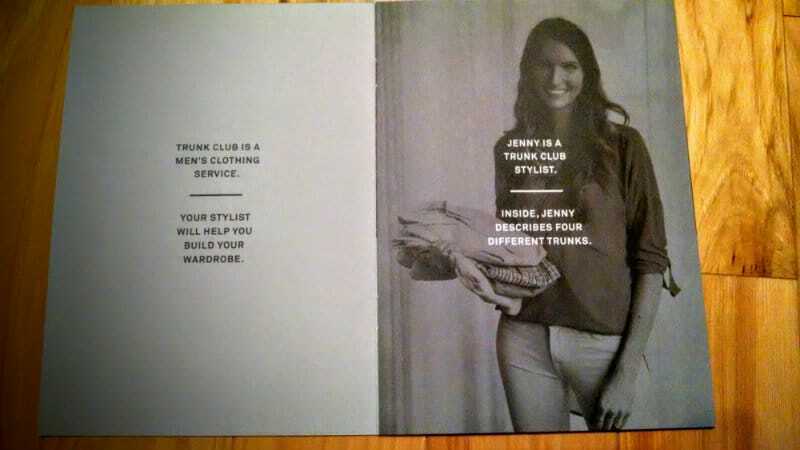 Love your Trunk Club write-up. Sign me up for that stylist! What color Crocs do you prefer? I am kind of split on the fashion thing. I don’t follow it but some days I do enjoy dressing up. Amusingly enough its when I started a capsule wardrobe that I actually started to concern myself more with clothes. That’s great you’ve only bought a few things. I honestly don’t understand how people buy clothes so much. I could date more then half my clothes at older then 10 yrs. Mr.1500 I should have snagged more betterment shirts . Drats. I have like a zillion Betterment shirts. Everyone left and they were just sitting there on the table. I couldn’t let them get thrown out. The drawback is that now, I’m a permanent, walking ad for Betterment. Mr. Roamer got the one I grabbed. The Roamer recently posted…A year off from work, Why? & How? 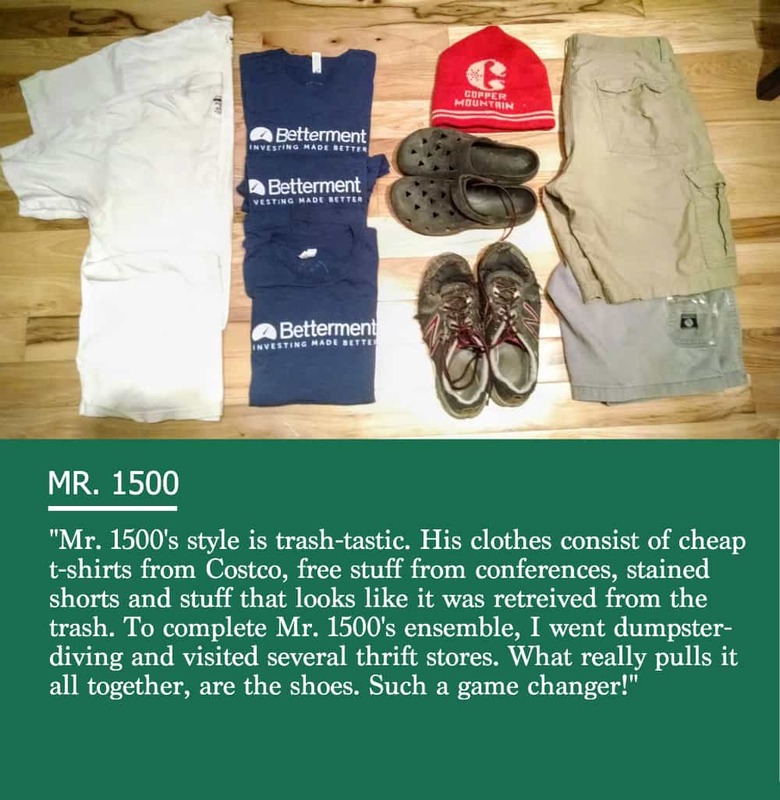 LMAO I loved your Trunk Club picture and description, mostly because B’s is pretty much the same thing (except exchange the Betterment shirts with UW shirts where he went). And this is pretty much my favorite quote of the week – “Deep down, the goal isn’t financial independence, but getting my priorities and life in order.” True that! 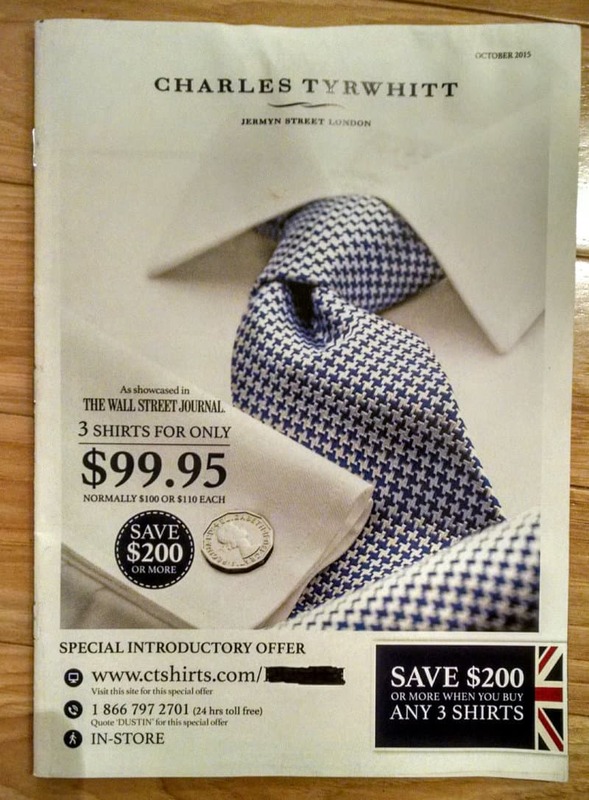 Hey Mr 1500, you’re slagging off a company that is one of my weaknesses – Charles Tyrwhitt! Perhaps I’m more susceptible to their marketing because I actually need products like theirs for my job and they’re the only place that sells clothes for really tall skinny guys. I can’t wait for the day when I can just wear whatever I choose instead – apart from those strange black shoes you showed (that people in caravan/trailer parks usually wear) I’m not unhappy with you wardrobe otherwise! It’s bizarre how people write about similar topics in this sphere by pure coincidence – my last post was about whether one can become immune to advertising and hee you are the next day ranting about junk mail! You should get a “No junk mail” sticker for your mailbox. InsiderAccountant recently posted…Are you immune to advertising? Those shirts weren’t actually fairly priced, so I don’t have much problem with them. However, the jeans that show up in those Trunks cost $200. That is more than my annual clothes budget. And I know that you’re just jealous of my sweet Crocs! Admit it! You must like them as you’re from the land of CROCodile Dundee! Perfect logic. Right now Betterment is reassessing their policy of handing out free t-shirts. I know, right? I’m permanently disinvited from all future events sponsored by them too. I thought they went overboard with the restraining order though. If you see me dressed up like Chris, give me a solid punch to the face so I come back to my senses. There’s an app called paperkarma to help you out with this little problem. It’s free and it saves the environment and your time so you can go back to being slovenly without being bothered further. Haha. Love the site! Keep it up. Whoah, didn’t know about PaperKarma. I wonder if it works. I’m going to find out. Thanks! I sense that you want in on the 1500 Trunk Club! Each trunk is $20 versus the $500+ of the real Trunk Club. Please specify your favorite Croc color and we’ll get started. Cool. It is on my list for this weekend. Your first trunk should arrive next week. Enjoy! The one thing I do like about having to wear a suit to work is not having to think about what to wear every day. A basic suit (although don’t often bother with the jacket), a few basic shirts, and no thought necessary! Although I must admit, coming home and slipping into shorts and a t-shirt is one of the best feelings during the day. I do everything I can to avoid wearing ties though. How did such a random, completely un-functional piece of fabric around the neck become such a normal feature of work attire? Surely a few decades from now people will look back and laugh at the strangeness of it. I love that you’re becoming more fully ‘yourself’ through this journey you’re on Mr 1500. Hard to find something more worthy of striving for than that. I know, right? What insane person thought of this crap?!? Probably the same guy who came up with the Pet Rock or the Yugo!! I think the guy who invented ties also invented pantyhose so men and women could suffer equally. Now that you’ve articulated your goal of wearing the least amount of clothes for the rest of your life, I’ve come to realize that’s also Mr. FW’s goal. He glares at me when I suggest he wear something slightly “nicer” and owns one suit, which he’s going to have to wear (under duress) to a wedding next weekend. And I’m pretty sure his free conference t-shirt collection is the majority of his wardrobe. I gotta say, I appreciate the simplicity you guys bring to clothing (but Mrs. 1500 is right, you probs should wear something nice for your daughters’ weddings. You can start dreading that now). Weddings!!!!!!! NOOOOOOOOOOOO!!!! I’m terrified of that day, but I don’t even want to get into that. I love simplicity. Steve Jobs’/ Dean Kamen’s philosophy resonates with me: wear the exact same thing every single day so their is no thought around this trivial thing. Kinda like Soylent. I have this weird goal of getting rid of all of my clothes and having like 2 outfits, shorts and a white t shirt and a polo and jeans. Dreams can happen. Ha, ha! Trash-tactic … Love the photo. I used to dress up (slacks and button up shirt, not suits) when I started as a real estate entrepreneur right out of college. I felt like I needed to impress people or give them confidence in me. I mean, what person would sell a 23 year old kid their house or what banker would give me a loan? Maybe it worked early on, but now I don’t give a crap. And I LOVE that. The Coach Carson trunk club page would be 2 pair of zip-off camping pants (one black, one khaki), a couple of Columbia camping shirts, a fleece, smart wool socks, low top hikers, and some Chakos sandles. All I need. Like you said, this FI thing is more valuable than just money in the bank. It gives you the confidence to be yourself, to put first things first, and to live your own life instead of worrying what everyone thinks about you! Thanks for the reminder. Your Trunk sounds pretty awesome Chad. Mine would be about the same. Can I have hiking sticks in mine too? Going down makes my knees scream. I was thinking of the first Batman movie the other day. That was the one with Jack Nicholson. Someone asks something like, “Why are the rich so strange?” The reply was, “Because they can be.” Exactly. I think we all bury our true selves a little bit. We wear the veneer that we think to impress or fit in with others. It’s nice to peel that veneer off. I love junk mail. — send it to http://www.sbkcenter.com/consumer.html and make some money! Is this for real? Paid for junk mail?? 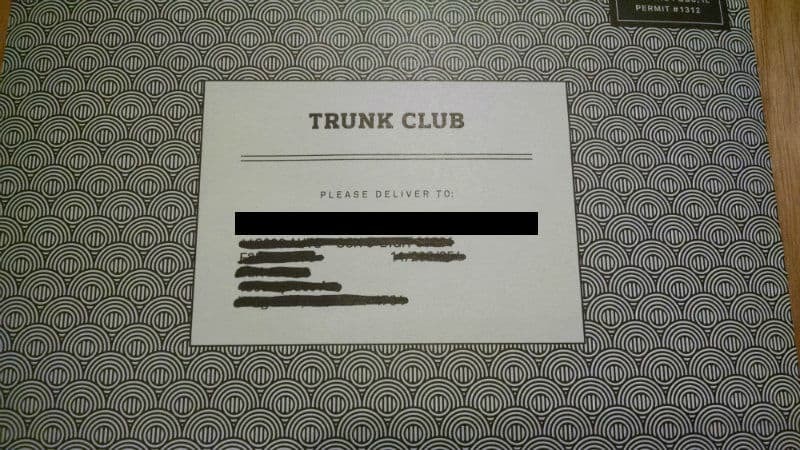 Trunk Club, bring it on!!! Every other year, we spend Christmas with my husband’s family. His mother introduced a tradition that everyone dress in black tie formal wear for Christmas dinner. I actually like to dress up in a sparkly or silky dress once or twice a year, but I certainly do not want to have dress up for Christmas dinner. So, a few years ago, when my mother-in-law started to spend the off-year Christmases with us, I introduced my own tradition – pajama dinner. Everyone is required to change into pajamas for Christmas dinner – preferably the flannel kind with reindeer, penguins or other festive critters. OMG, this is so awesome! I want pajama Thanksgiving too. It would certainly be efficient in terms of passing out after the big meal. Cut out the middle man. I still have a picture of me somewhere when I was 14 on a cruise my parents took me on of me and my sister dressed up for that formal dinner. I wore dress clothes at my current job for about 3 months, when no one else really did. Then I stopped because it seemed to be a negative thing with the other coworkers. Now I’m kind of the opposite at work. Just spent an hour Saturday going through months of Junk mail and shredding. Waste of time. I’m with you on clothing. I do buy new jeans because I have a brand, style and size that I like, and I wear them until they have unrecoverable holes in them. But, I could wear jeans/capri’s and t-shirts for the rest of my life and never complain. I own some nicer clothes, and would love to get rid of them, but until I’m done working, I need to keep at least a pair of khakis around for looking presentable… Right no, the best I do is make sure that I’m not wearing holey jeans on days when I might have to meet with semi-important people. The important people get the khaki treatment…. I’d be remiss not to point out that it’s not beneficial to women to dress like this. Women are judged much harsher than men about their appearances, especially in a work environment. That’s just the reality, whether we like it or not. Women who don’t dress nicely are called “frumpy” and “not pulled together”. They appear not as serious about their jobs. Most people don’t even realize how sexist it is to say that, but they are words that no one would use to describe a man’s work outfit. I would prefer to wear jeans and t-shirts every day of my life, but if I don’t go above and beyond what the men in my office wear, I don’t look equal. (They can get away with wearing the same pair of crappy khakis and old button down every day. I cannot.) No, you don’t have to spend a lot of money on clothes. There are plenty of stores out there where you can buy simple basics on sale that look pretty good (H&M, Zara, most department stores mark things down constantly these days). And you don’t need a closet stuffed with clothes that rarely get worn. Certainly you don’t need a personal stylist! But if you are a woman, you do have to put thought and effort into your wardrobe, whether it’s coming from Chanel or the sale rack at JC Penney.